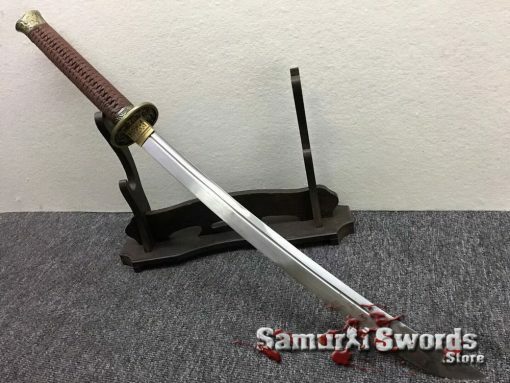 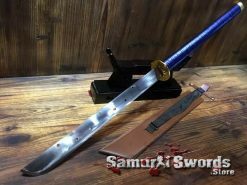 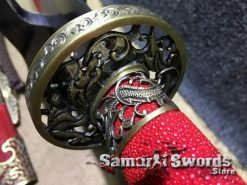 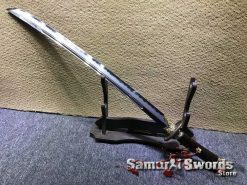 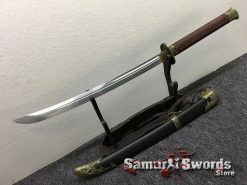 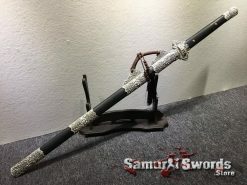 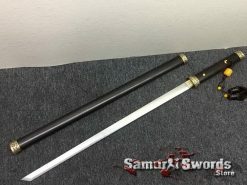 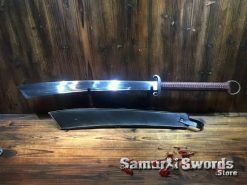 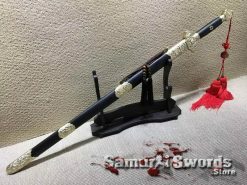 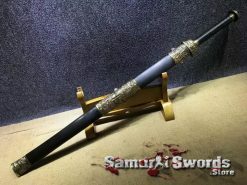 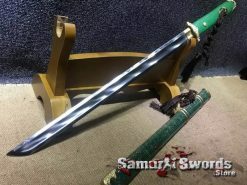 1060 Folded Steel Broadsword with Double Bohi and Metal fitting. 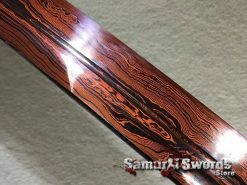 the blade is full tang, featuring Ebony Wood Sheath. 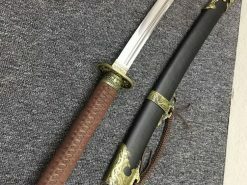 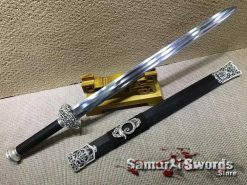 Outside of China, little is known about the Chinese swords. 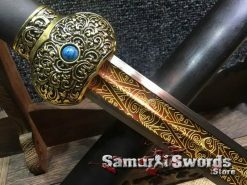 These are magnificent blades used for battles in history. 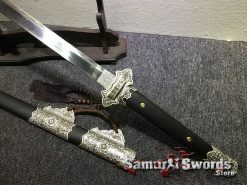 Martial arts enthusiasts and sword collectors know of these. 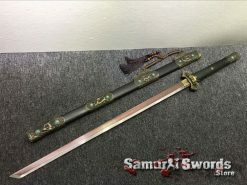 Hence, why they need the Chinese broadsword in their collection. 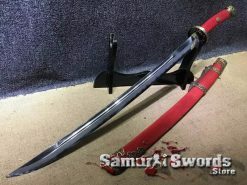 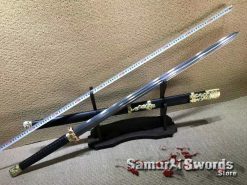 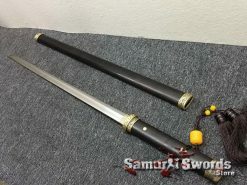 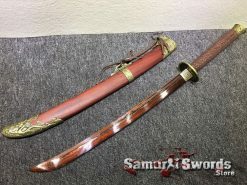 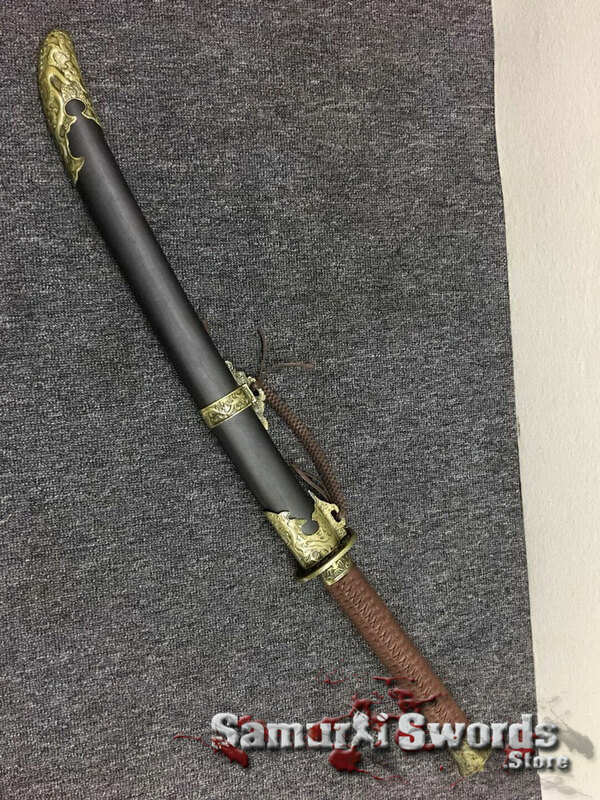 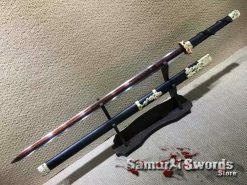 If you practice martial arts, its best to have this Chinese broadsword for yourself. 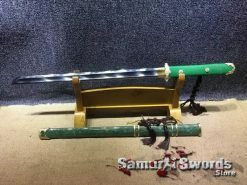 Its a beauty and fully functional which can be used for practice and training. 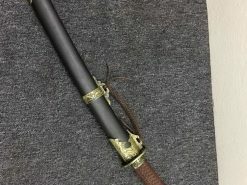 This Chinese broadsword weighs a total of 1.65 kilograms. 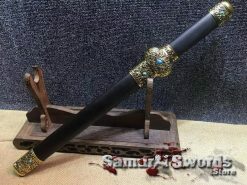 Its blade is 53 centimeters long and 3.3 centimeters wide. 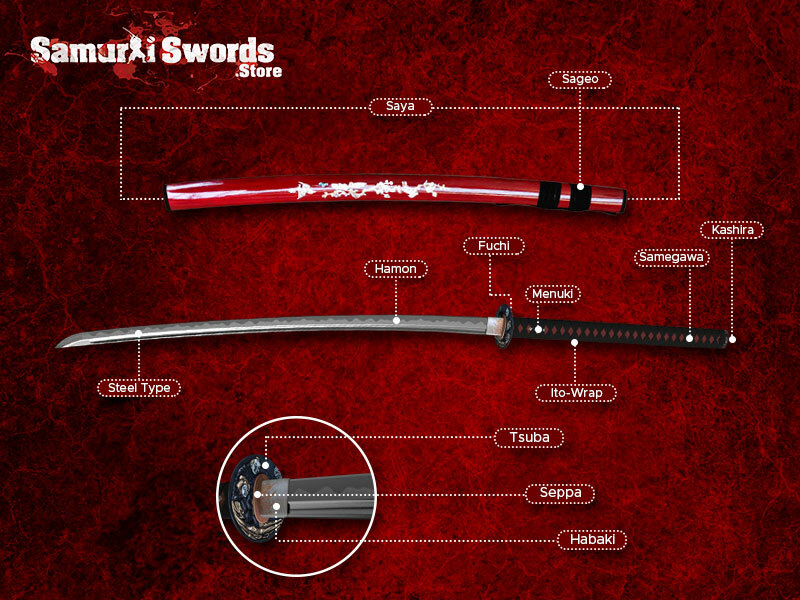 Its grip is adequately sized at 32 centimeters. 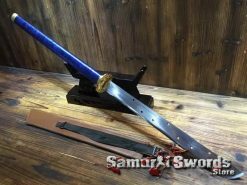 This will let you comfortable grip the broadsword with both hands. 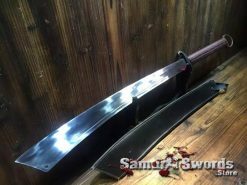 The sword is made more lightweight because of its double blood groove. It is the rounded or beveled slot on the blades flat area. 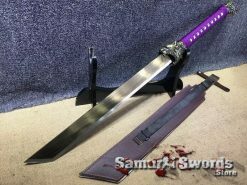 It also runs down the weapons length and also alters its balance point. 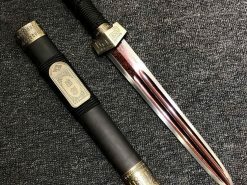 The 1060 steel has a carbon content of 0.60% and this makes this Chinese broadswords blade. 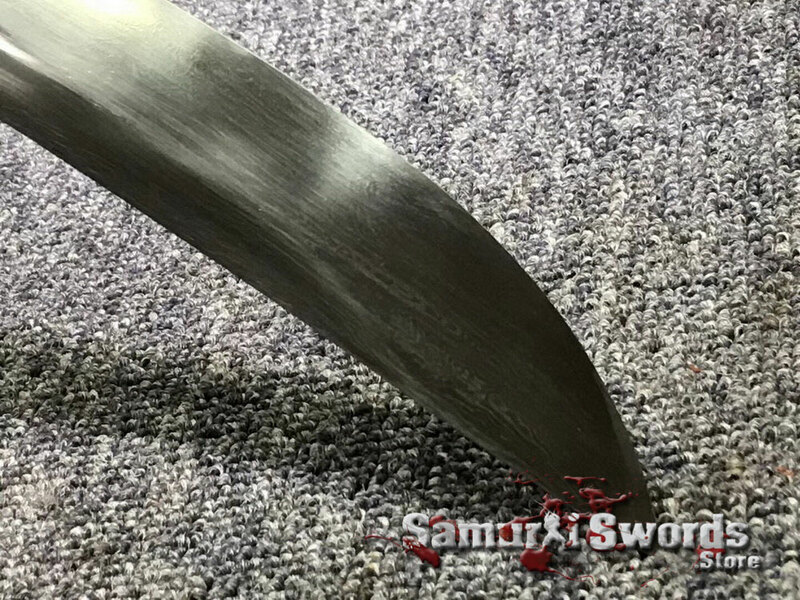 Its sharpened to perfection which makes it great for cutting practice. 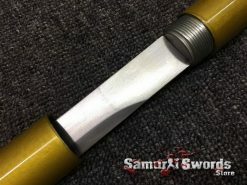 Usual targets include soft to medium targets. 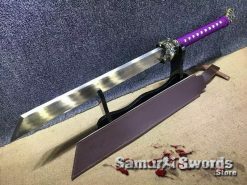 The blade has gone through the folding process. 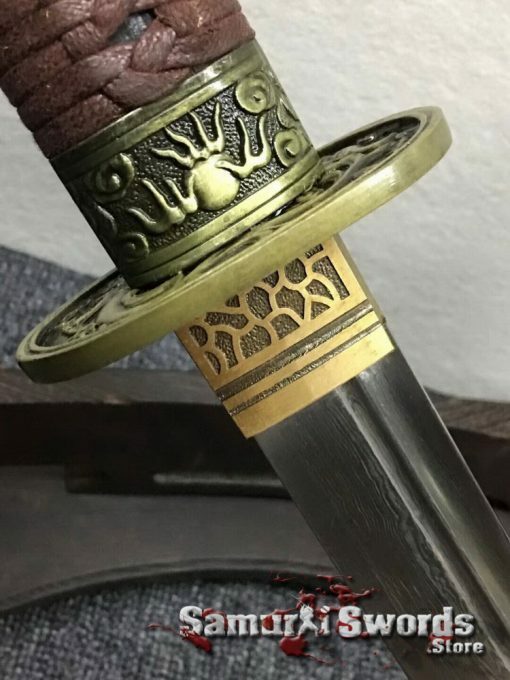 This gives you the subtle grains on the blades surface. 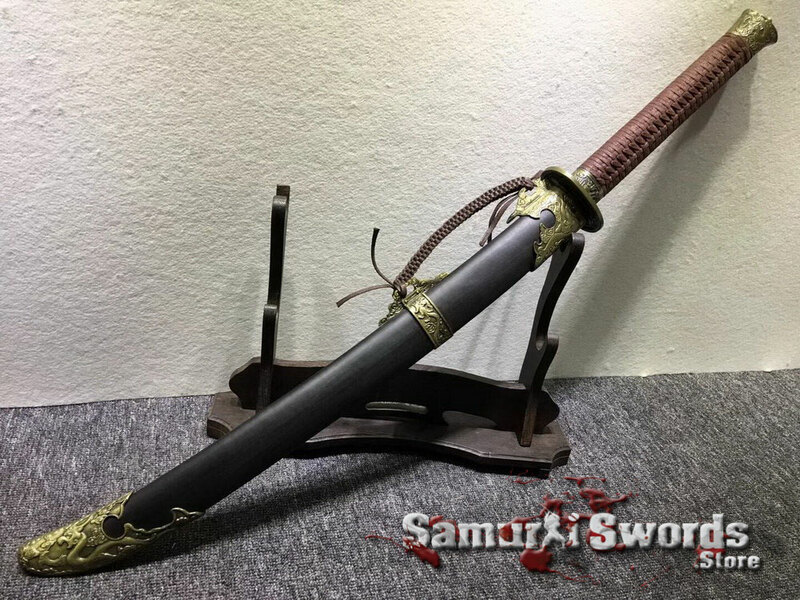 This adds to the aesthetic value of the sword without compromising its performance. 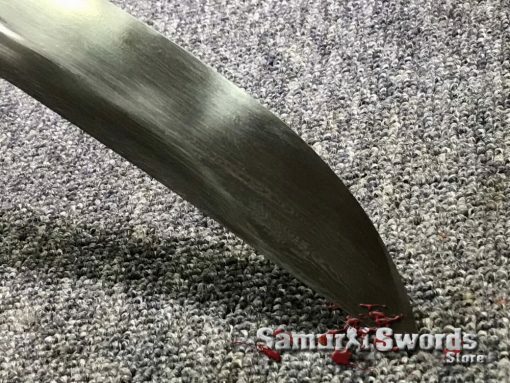 Since its a full tang, the blade and its handle are a single piece of metal. 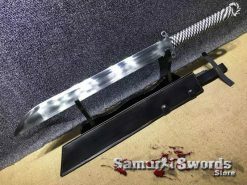 This gives you more leverage for greater force on the blade. 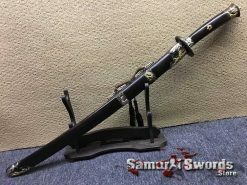 This Chinese broadsword features a beautiful scabbard made from ebony wood. 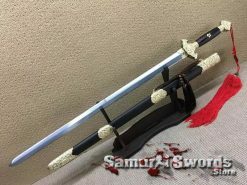 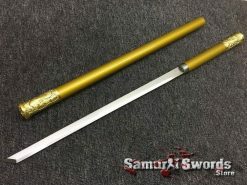 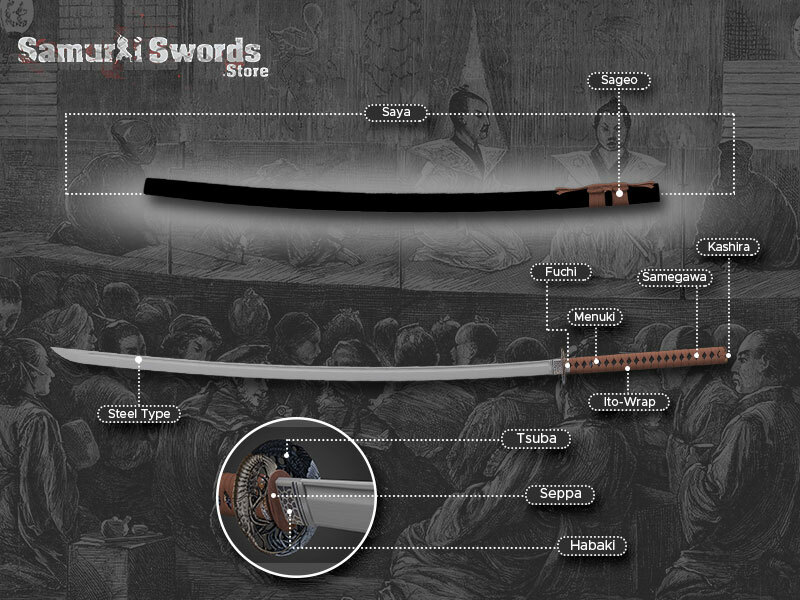 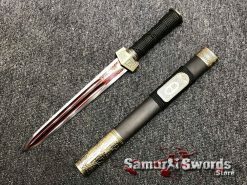 It allows you to quickly draw the sword during practice or training. 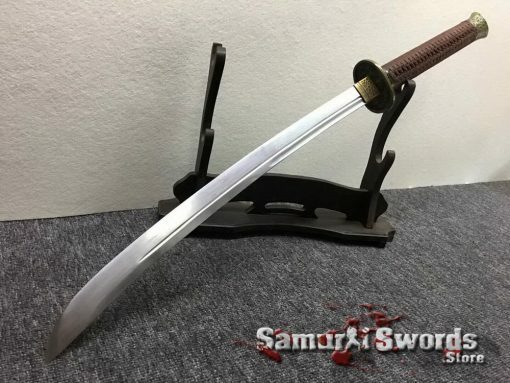 Also, this works as a sheath to protect the blade when not in use. For additional protection, a silk sword bag is also present. You can use this to transport the blade when heading to the dojo. 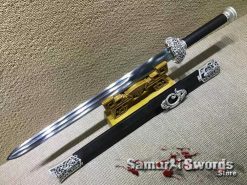 The Chinese broadsword consists of fittings that are all made of metals. 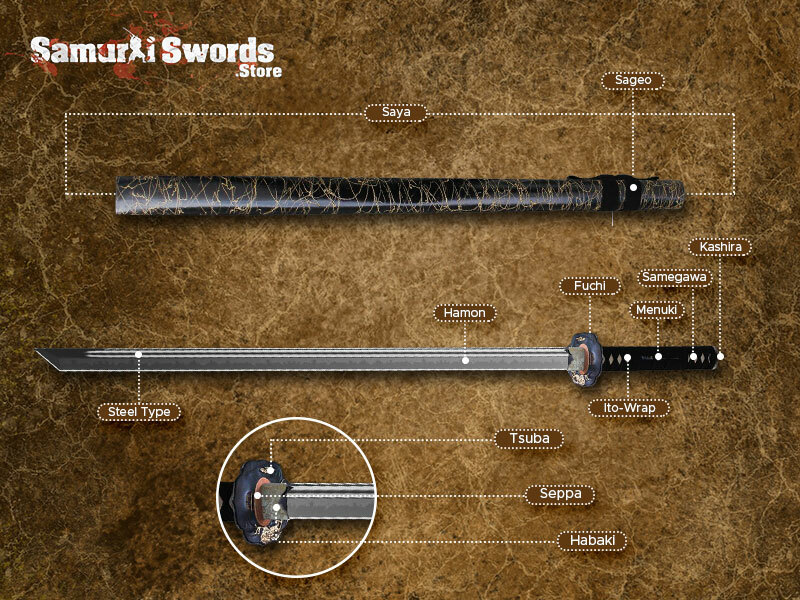 These include the hand guard to protect your hand from injuries, the pommel for balance, and the hilt collar. 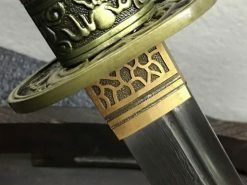 The hilt collar is a cap-type collar concealing the opening of the grip. 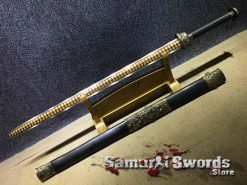 The Chinese broadsword was the most used weapon by the Chinese infantry in history. 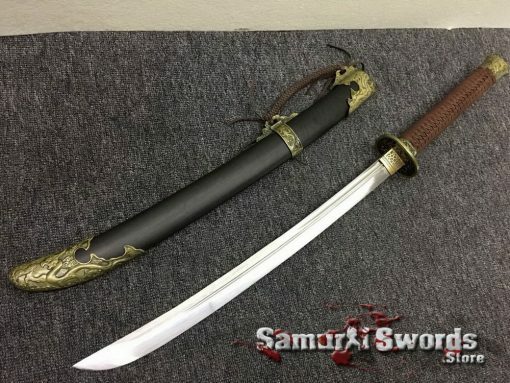 Some of these featured longer handles but with shorter blades. 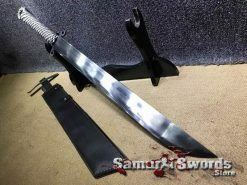 These were brandished in dangerously lethal ways in battle. 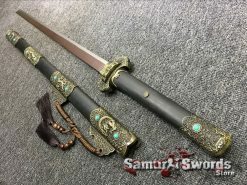 Just like the jian, the Chinese broadsword was wielded by a lot of ancient Chinese officials. 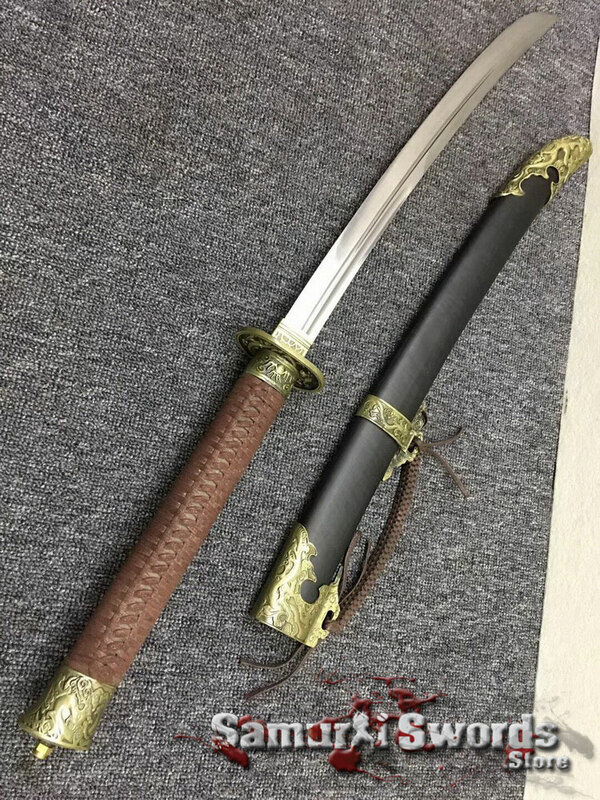 This was to display their status in society.